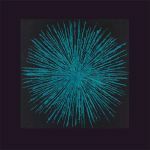 Review: The third release on Verdant frames AOS and Sonitus Eco opposite each other for an original production and a corresponding remix, plumbing the depths of submerged techno to dazzling effect. "Hubble" is a soothing lullaby of machine soul, which then receives a shot of adrenaline for the snappier "Red Shift" version. "Supernova" has a tougher framework, but the synths continue to reach for the stars with uplifting results. Then the "Blue Shift" version of "Supernova" taps up a melancholic house approach that wouldn't sound out of place on an early Kompakt release. 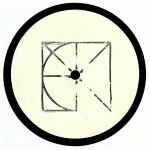 Review: The shadowy, techno oriented CEMENT label launched last year with a split release featuring Owen Jay, Molegrip, Cyan341 and CMNT (most likely someone affiliated with the label). Now they're back for round two, and a similar format follows leading in with Mateo Murphy and the linear dub techno immersion of "Black River". Sonitus Eco comes up next with the more spaced out, back room hypnosis of "Ruffcut", CMNT is back once again with the needling arps of "White Heat" and Fourmatic completes the package with a dark and epic electro extravaganza in the form of "Ectosketch".